In Aroostook, Maineâ€™s largest and northernmost county, visitors traverse wide open spaces and rolling countryside, encountering "big skies", historic communities, very little traffic, and the countyâ€™s deep-rooted Acadian history. 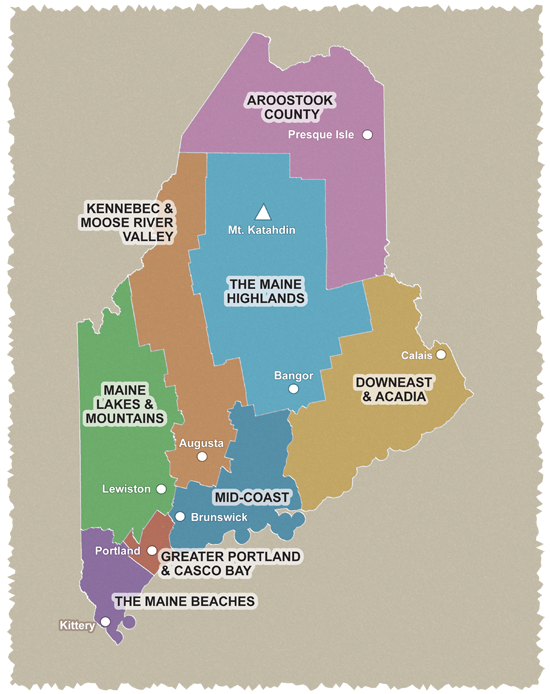 One of the northern-most of Maine's scenic byways, the Fish River Scenic Byway - State Route 11 follows the rolling hills between Portage and Fort Kent. This drive offers outstanding views of wildflower meadows, Eagle Lake and Maine's tallest peak, Mt. Katahdin. Because much of the route is forested, you might catch a glimpse of eagles and moose along the way. Route 11 is a primary north-south corridor connecting Aroostook County, Maine with New Brunswick, Canada. Settled by the French-Acadians in the 19th century, the region is proud of the strong Acadian influence on its food and cultural traditions.